Wellington City Council is delighted to have confirmed the final te reo policy, Te Tauihu, and to have taken the first step in making te reo more visible in the city. It is also celebrating the gifting of the name Te Ngākau by mana whenua to Civic Square. Today, Wellington City councillors have agreed that our city will be a te reo city, Mayor Justin Lester says. “It is a public statement of our commitment to the language – an acknowledgement of the mana of Māori culture and values, of our joint history and of the whakapapa of our rohe. The policy, dedicated to the Council’s kaiārahi, Billie Tait-Jones, who passed away in November 2017, aims to make te reo a core part of Wellington’s identity through ensuring it is widely seen, heard and spoken in the capital. The Council will lead the way in incorporating te reo in its decision-making processes and functions, in how it communicates, through city signage, facilities, design and through cultural investment,” Deputy Mayor Jill Day says. 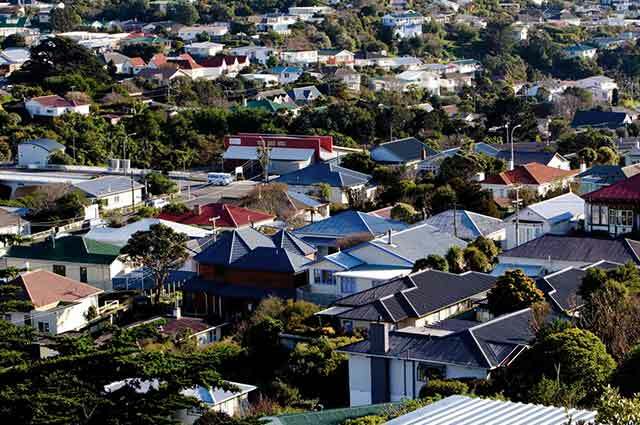 An action plan will now be created in collaboration with mana whenua and key stakeholders and will set out the pathway towards a te reo Māori city by 2040. Te Ngākau, meaning the heart, was gifted to the city by Taranaki Whānui ki Te Upoko o Te Ika. It relates to the concept of Civic Square being the centre and the heart of our city for all ages, cultures and gatherings, Taranaki Whānui Chairman Wayne Mulligan says. “The Te Tauihu policy is crucial to us as iwi as it speaks to how we will restore, revitalise and strengthen our reo Māori for our future generations. The name will go before the Council’s City Strategy Committee for formal adoption on 21 June. The Council and mana whenua are also working on te reo Māori names for Botanic Gardens and the Town Belt, the Mayor Justin Lester says. “I would also like to acknowledge The Dominion Post for their commitment to embracing te reo in our city’s daily newspaper, including integrating te reo into their masthead,” the Mayor says. E harikoa te Kaunihera o Pōneke kua oti te kaupapa here te reo Māori, Te Tauihu, hei mahi tuatahi i runga i tōna hiahia kia whānui ake te kitea o te reo Māori i roto o Pōneke. I tēnei rā i whakaae ana e ngā Kaikaunihera kia tū a Pōneke hei tāone reo Māori, tā te Koromatua a Justin Lester. “He tauākī tūmatanui tēnei hei whakaatu i te mau ki te reo Māori - he whai whakaaro anō hoki ki te mana o te ahurea Māori me ngā tikanga Māori, ngā tātai kōrero mō te nohotahi me te whakapapa o tō tātou rohe. Te Tauihu, kua tāpaea te kaupapa here te reo Māori ki a Billie Tait-Jones, te Kaitohutohu Ahurea o te Kaunihera o Pōneke, i mate rā i te marama o Whiringa-ā-rangi 2017. Mā te Kaunihera o Pōneke e arataki kia whai tikanga te reo Māori ki roto i ngā taketake o te tāone nei, kia whakamahia ki ngā whakawhitinga kōrero, ngā momo tohu katoa me ngā whakataunga rapu moni, tā te Koromatua Tuarua a Jill Day. I tēnei wā ka whakawhanake i te mahere mahi ki te taha o mana whenua, o te hunga whai pānga hoki, kia mōhio ai tātou me pēhea te tutuki i te wawata kia tū he tāone reo Māori i te tau 2040. He wā anō hoki tēnei ki te whakanui i te koha o te ingoa ‘Te Ngakau’, tēnā kua tukuna mai i Taranaki Whānui ki Te Upoko o Te Ika ki Civic Square. Ko te whakaaro e pā ana ki tēnei ingoa, anā ko Civic Square te pūtahi me te ngākau o tēnei tāone me ngā tangata e whai wāhi ki konei, ahakoa te pakeke, nō whea, hei aha te kaupapa rānei – ko tēnei te kōrero o te tiamana o Taranaki Whānui a Wayne Mulligan. “He mea waiwai kia tutuki pai te kaupapa here, mā te mahi nei ka whakahou, whakapakari me te whakanikoniko i tō tātou reo Māori mo ngā reanga o āpōpō. Ka whai wāhi te Komiti Rautaki Tāone a te Kaunihera ki te āta whakaaro i tēnei ingoa hei whai take a te 21 o te marama o Pipiri. Kei te mahi tahi hoki te Kaunihera me mana whenua ki te whakaae ki ngā ingoa Māori mō ngā Māra Huaota me te Town Belt, tā te Koromatua a Justin Lester. “He mihi anō tēnei ki Te Pūrongo o te Upoko o te Ika mō tō rātou kaha ki te whakanui i te reo Māori i roto i ngā nūpepa mo ia rā,” tā te Koromatua. Definition: Ngākau (noun) seat of affections, heart, mind, soul (Māori Dictionary). The site of Civic Square has significance to iwi. It is a site of tauranga waka and a food (kaimoana) source for Te Aro Pā. Waimapihi was one of the names iwi considered for Civic Square. The Waimapihi stream flowed to the former beach/shore within the Civic precinct. According to The Great Harbour of Tara by Adkin, Mapihi was a chieftainess of Ngāi Tara and Ngāti Mamoe who used to bathe in the pool at the upper course of the stream – hence the name ‘stream of Mapihi – Waimapihi’. However iwi further considered the nature of the activity in Civic Square – a place for everyone. 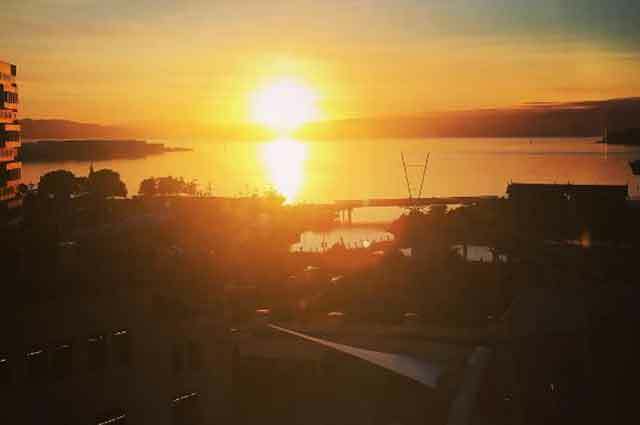 The name Te Ngākau, a contemporary te reo Māori name, was preferred to ensure all who live, work and play here in Wellington can continue to feel connected to this space. It is based on the concept of Civic Square being the heart of public use and access for all ages to culture and gathering. Civic Square is a place where whānau visit for a variety of reasons – all of which have a connection to rēhia (excite), ako (educate) and kai (energy).